This week Krista challenges us to interpret the term ‘off-season’ in our challenge images. “Umbrellas in winter? Balaclavas in July?” You can view the entire challenge post here. I have selected three images to share. 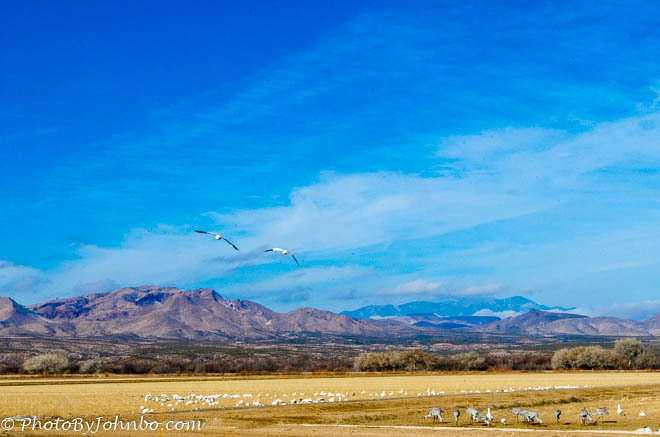 In the opening image from Bosque del Apache in New Mexico, snow geese and sandhill cranes share a field in the preserve. This image was captured on January 8, 2015. Had I been there to take the image at the right time of year, the field would probably have been nearly solid white with thousands of snow geese. You can view more images captured at the Bosque here. In my second example, the Cleveland Indians and Cincinnati Reds play each other in a Cactus League game in Arizona. This image was captured in April 2012, off-season for major league baseball. 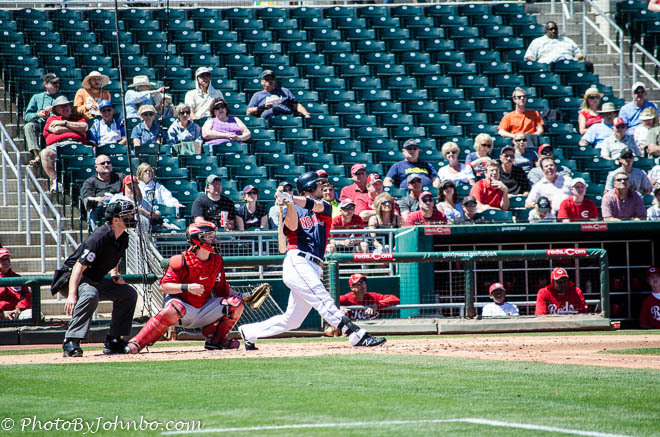 You can view more images featuring Cactus League spring training games here. 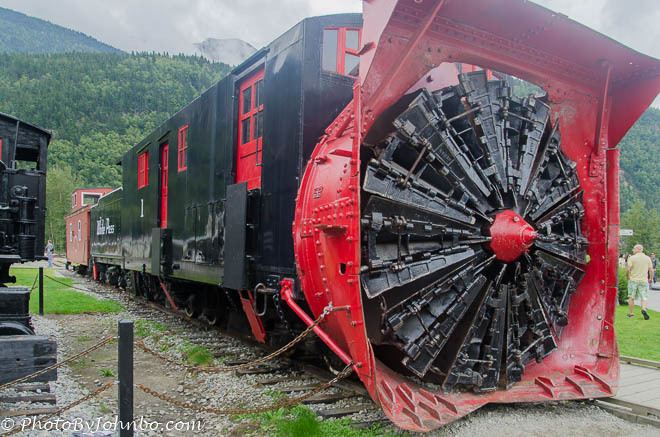 In Skagway, Alaska a large railroad snow plow awaits winter. This plow is old technology, replaced these days by giant snow throwers. Tourists planning on riding the White Pass and Yukon Railroad on an excursion out of Skagway will walk past this display. You can view images taken on such an excursion here. That snow plow. Holy crap! I’ve never seen anything like it, John. We could use one of those in ND every so often. Indeed. Should have had someone next to it to show true scale.